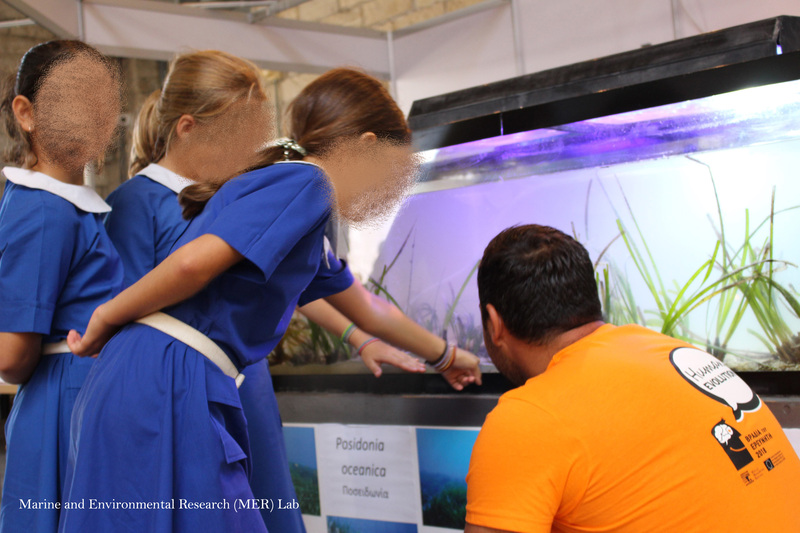 MER has been sub-contracted by the Department of Fisheries and Marine Research (DFMR) to develop a small laboratory and present Posidonia oceanica in the Pan-European Researchers’ Night which takes place today (28/09/2018) and tomorrow (27/09/2018) at Carob Mill Lanitis in Limassol. The event is funded by the EU through the “Marie Skłodowska-Curie” Actions of the Horizon 2020 Program and organised in Cyprus by the Research Promotion Foundation RESEARCH PROMOTION FOUNDATION’S. MER’s actions are funded by the DFMR through the INTERREG VB Balkan-Mediterranean project – Regional cooperation for the transnational ecosystem sustainable development (RECONNECT). Come along with your family to learn more about P. oceanica morphology, biology, its importance for our ecosystems, and the threats that is currently facing.